We started Magnet Design to explore the relationship between people and the world’s oceans. Our greatest discovery was a growing group of people we call the Magnetic Field; passionate about oceans, willing to work all day and all night, and living proof that if you build it, they will come. 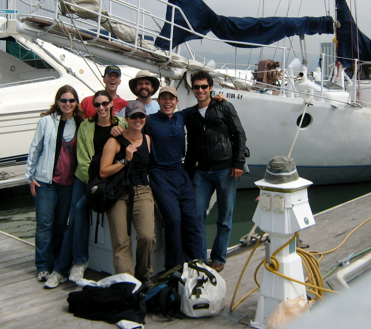 Harnessing the field we restored an unrestorable boat in 3 months, sailed 4,000 miles, ran profitable consulting projects, and lived our dream.